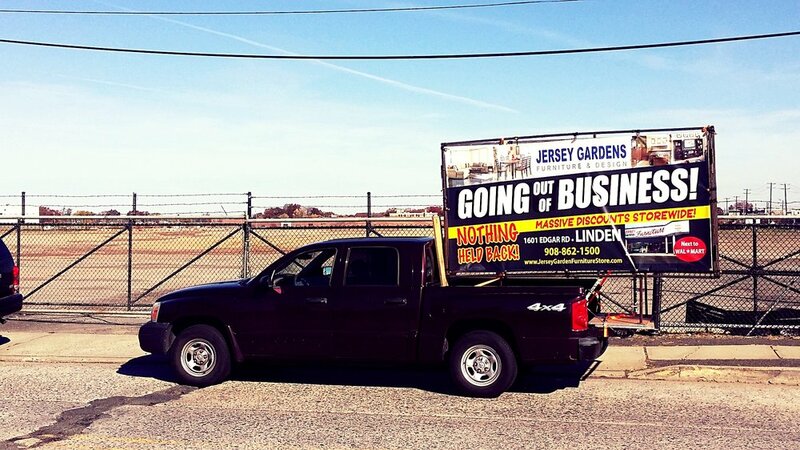 Mobile Billboards / Truck Signs — Made You Look Advertising LLC. 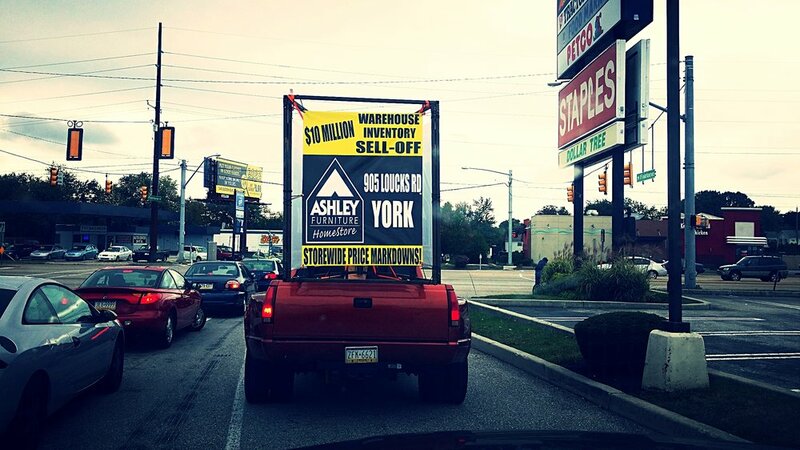 Truck Signs That GET NOTICED! 2 - 5' x 10' and 1 - 5'x4' signs mounted on the back of trucks driving with the traffic. We customize routes to draw in customers from target markets bringing in new customers and intercepting customers on their way to another store. See How A Mobile Campaign Will Work For You! Illuminating Billboards driving through your target markets community. Travelers take note of billboard advertising. Seventy-one percent of travelers often look at the messages on roadside billboards and more than one-third (37%) report looking at an outdoor ad each or most of the time they pass one. Allow our knowledgeable staff to help you create and execute your mobile campaign!